The auction for the second season of IPL was mainly for International players from England and the domestic players from the International circuit who were not part of the IPL in the inaugural season. None of the Indian players featured in this auction. Out of the 43 players who were shortlisted for the auction, only 17 were picked up by different franchises. The English duo of Andrew Flintoff and Kevin Pietersen fetched the highest bids of 1.55 million USD each. 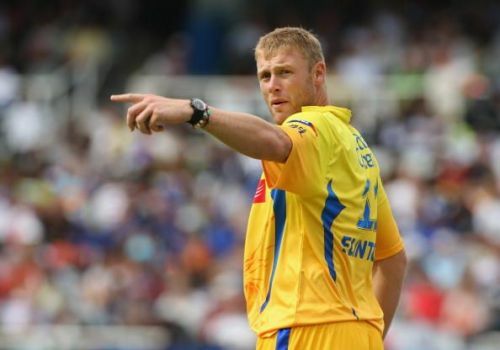 Flintoff was picked up by Chennai Super Kings who were in short of a genuine all-rounder in the first season. Pietersen was brought by Royal Challengers Bangalore in order to strengthen their top order lineup and to bring some aggressiveness into their style of play. Pietersen also captained the RCB side for the season but he quit after six matches due to international commitments. The right-hander only managed to score only 93 runs in the 6 matches and was only able to win two games as a captain. Later, Anil Kumble took over the team and led them to the finals. Flintoff also had a poor season with injury affecting his performances. He was able to play only three matches for CSK. Both the big buys of the season turned out to be failures in the IPL second edition. In 2010 IPL Auctions, an auction cap of 0.75 million USD was set for individual players. The most expensive picks of the season, Kieron Pollard and Shane Bond were picked up by the franchises through a secret tiebreaker as multiple teams were interested in them for the maximum allowed amount. Kieron Pollard was picked up by Mumbai Indians and Shane Bond was picked by Kolkata Knight Riders. Only 11 players were sold in this auction with Mohammed Kaif (Kings XI Punjab) being the only Indian player picked up in this auction. It was rumored that Pollard was sold for a whopping bid amount of USD 2.75 million in the secret sealed bid. He later turned out to be a regular pick in the Mumbai Indians squad in the seasons followed. Pollard was one among the four players Mumbai Indians retained the next season. Bond had an average season with Kolkata Knight Riders as the team failed to qualify to the playoffs for the third consecutive time. Injuries affected his IPL performances and he retired from IPL after the season.